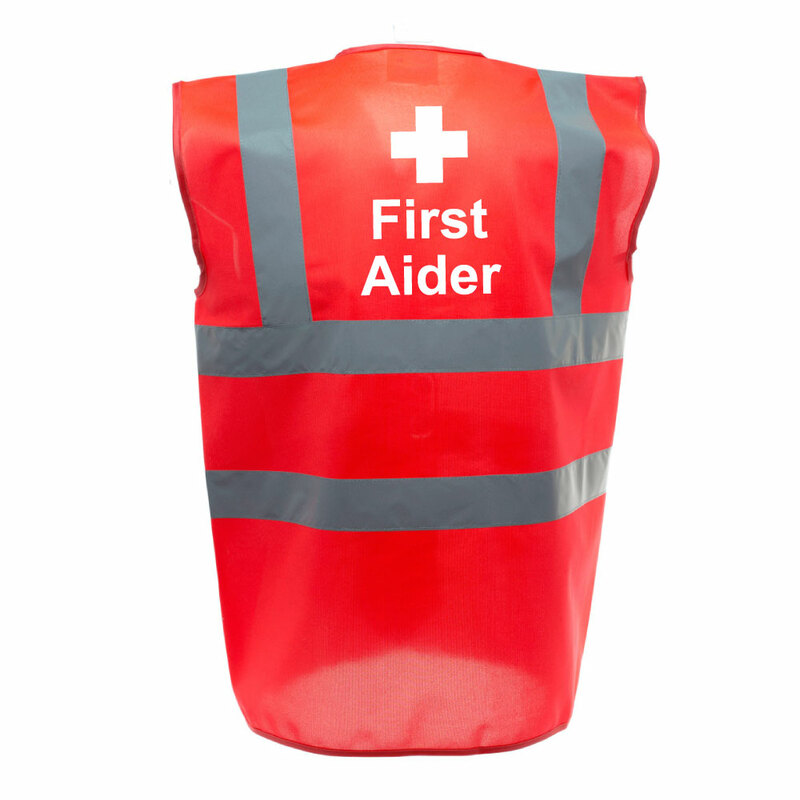 Each hi vis vest is printed \"First Aider and Cross<\/b>\" logo on the back panel between the 2 upright reflective strips and the front breast pocket area. 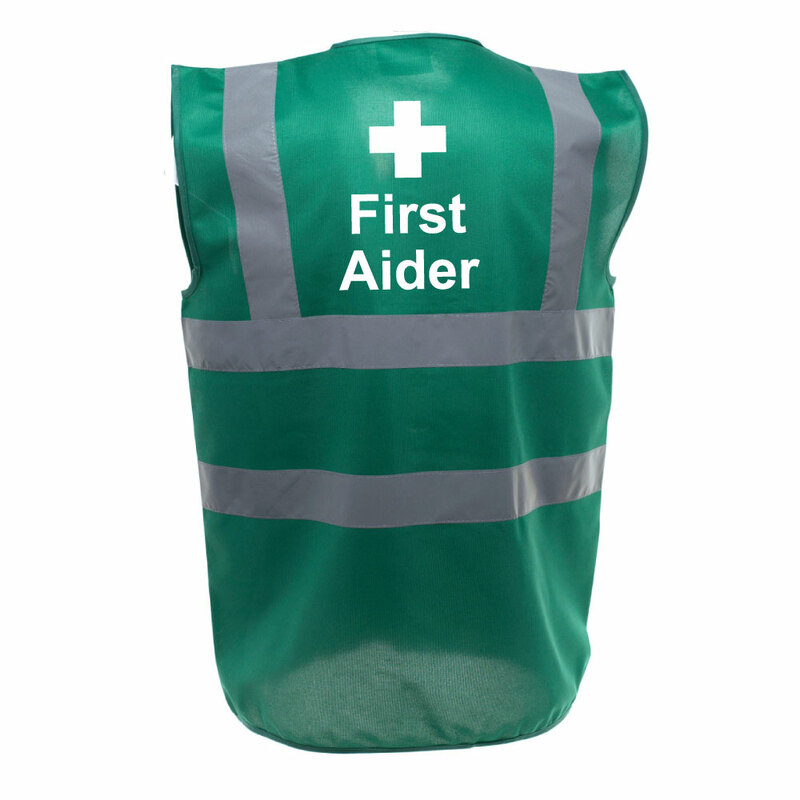 Buy Safety Vest First Aider<\/b> from just one item. 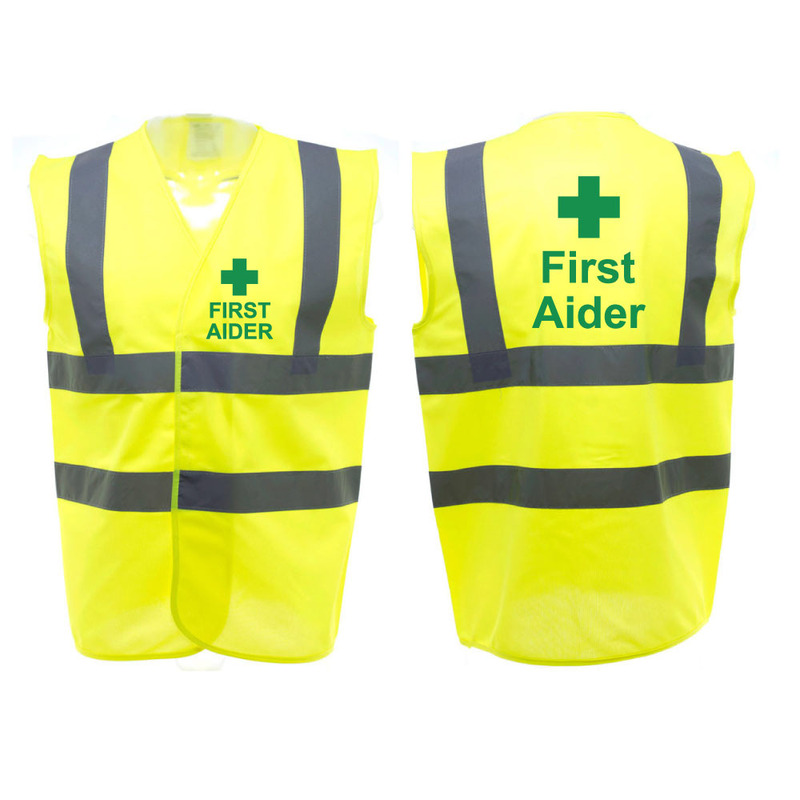 Each hi vis vest is printed "First Aider and Cross" logo on the back panel between the 2 upright reflective strips and the front breast pocket area. Conforms to EN471 Class 2. Other colours are just enhanced visibility. When selecting the size we would recommend you buy the next size up from the chosen size. If Medium is required - go for the Large and so on. 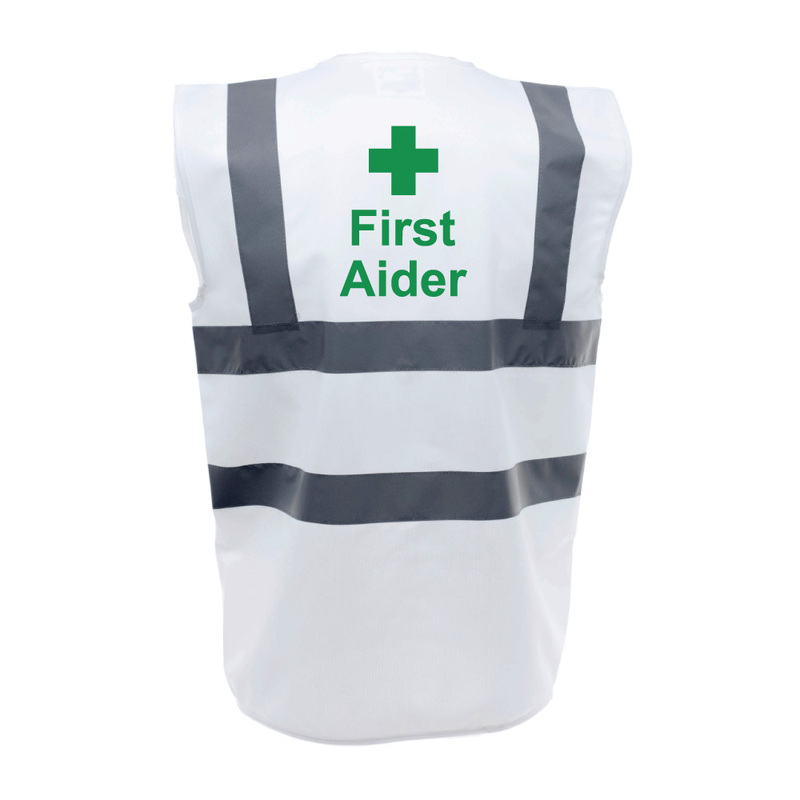 Buy Safety Vest First Aider from just one item. Thank you for visiting Kova Tabards. * Based on residence in United Kingdom. Tax rates for other countries will be calculated at the checkout. Price exclusive of tax: £5.95.